You want to learn how to make the best brownies ever, right? Without a boxed-mix and with just a few minutes of prep? Well, you’ve come to the right place. I’ve got what you’re looking for right here! I know it’s bold of me to call these brownies “the best”, but I’m willing to stake my reputation on these. Make them. Try them and tell me what you think! 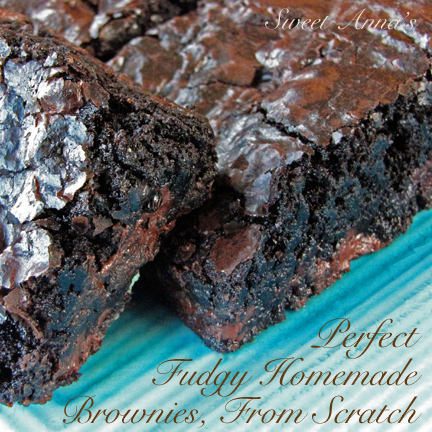 These brownies are fudgy, rich, dark, homemade, from scratch… Perfect Brownies! This is not a new recipe to those of you who have been hanging around Sweet Anna’s for a while. Some of you may already make these, often. And they all originate from this base recipe. This is the classic. This is my tried (hundreds of times!) and true recipe that I could almost make with my eyes closed and one hand tied behind my back (or holding a baby!) and they have never failed to impress. Make these brownies. Get rid of that box and give these beauties a try. 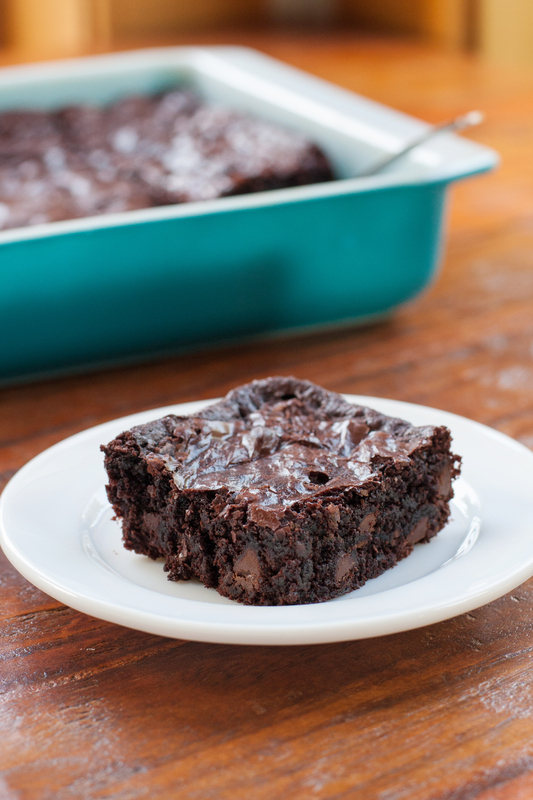 Keep these simple, everyday ingredients on hand and you will never go back to boxed brownie mixes again. You wouldn’t even think of it!